The AFT and Britain's TES Connect have come together to create "Share My Lesson," a new digital platform for U.S. educators to collaborate and share teaching resources and innovative ideas, with a significant emphasis on resources to guide teachers in implementing the new Common Core State Standards. The site is live, and teachers are already registering and sharing their best ideas with colleagues around the country. And the U.S. history teacher of the year award goes to Gretchen M. Gurr, Hamden native, Southern Connecticut State University alumna and U.S. history teacher at James Hillhouse High School. 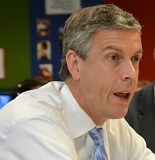 U.S. Education Secretary Arne Duncan announced today that Connecticut has won its bid for a waiver to the federal No Child Left Behind (NCLB) requirements. 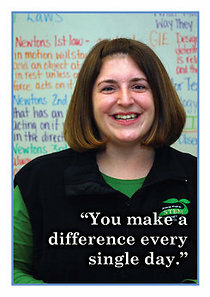 Results from a new survey from the Bill & Melinda Gates Foundation and Scholastic shows that our children and our nation benefit when we listen to teachers' insights and observations, and focus on what works in the classroom, because they are one and the same, AFT president Randi Weingarten says.